"Tokyu Hands" has a wide range of items such as daily use items, household goods, interior goods and craft supplies, etc. It is a popular shopping spot even for a foreign tourist as there are many products which are made in Japan. Today, we are going to introduce some tapes which is light and compact to be put in luggage and brought back as souvenir! 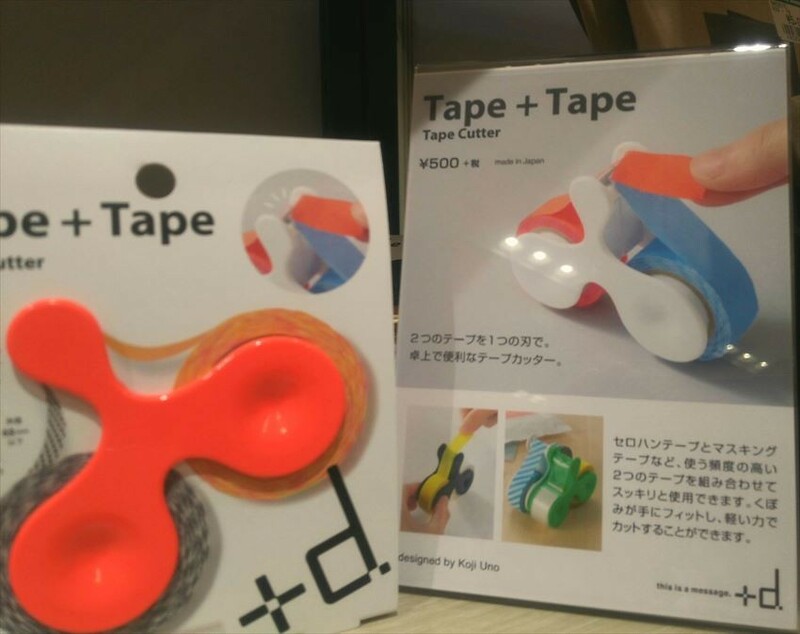 It is a product which inspired from the idea with desire of "I wish to use both masking tape and cellophane tape at the same time". 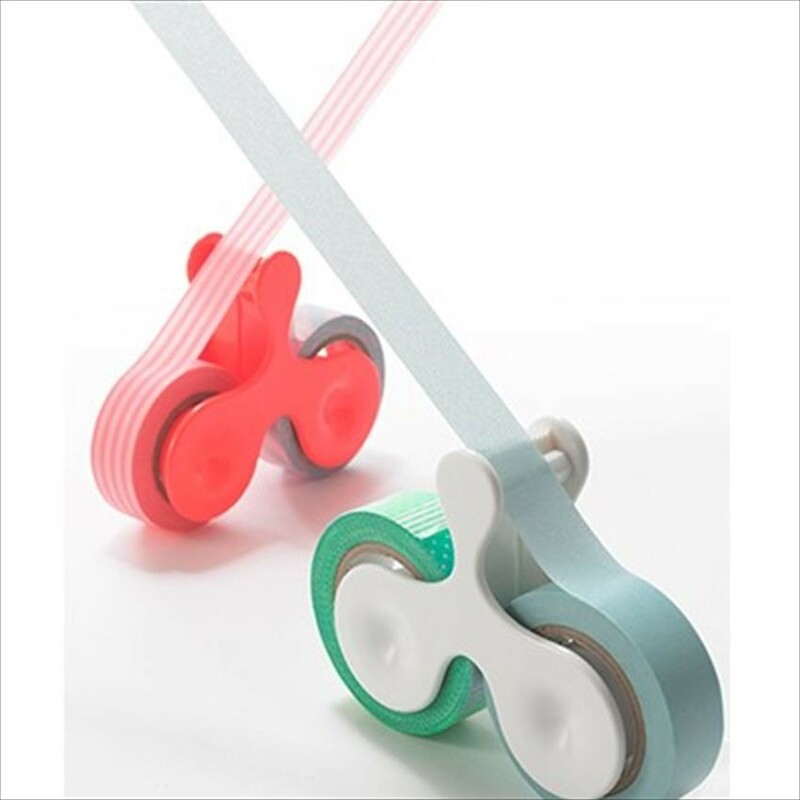 With this combination, you can use one blade to cut both two tapes at the same time. 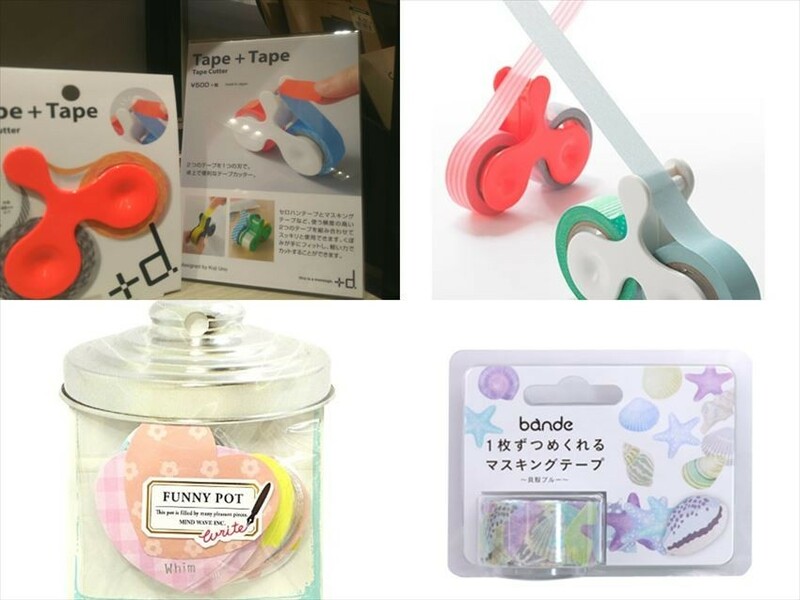 You can use by matching "Cellophane Tape + Masking Tape", or "Masking Tape + Masking Tape", or any spare of the same tape with your free style. One of the key points is that it has a hollow to make it easily carried when cutting the tape, so that the tape can be cut with a light force. 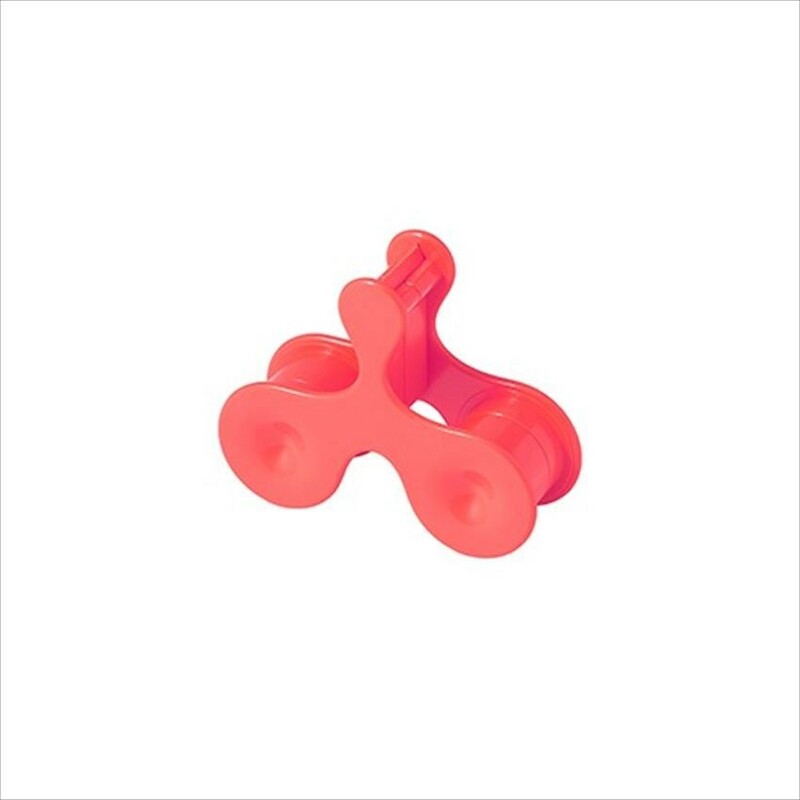 Moreover, it has set optimum angle for the blade part so that the pair of tapes are difficult to attach to each other. It has five colors which includes black, green, red, white and yellow. 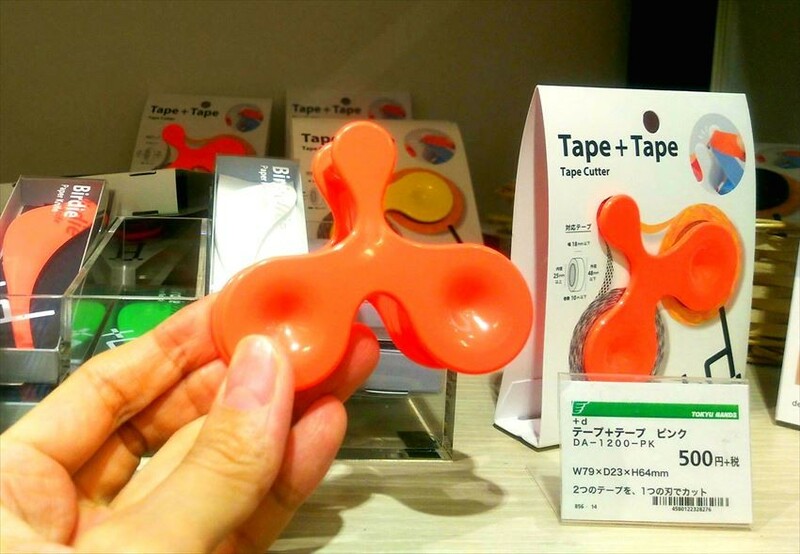 A masking tape that can be pulled out like a tape and can be peeled out one by one like a seal. 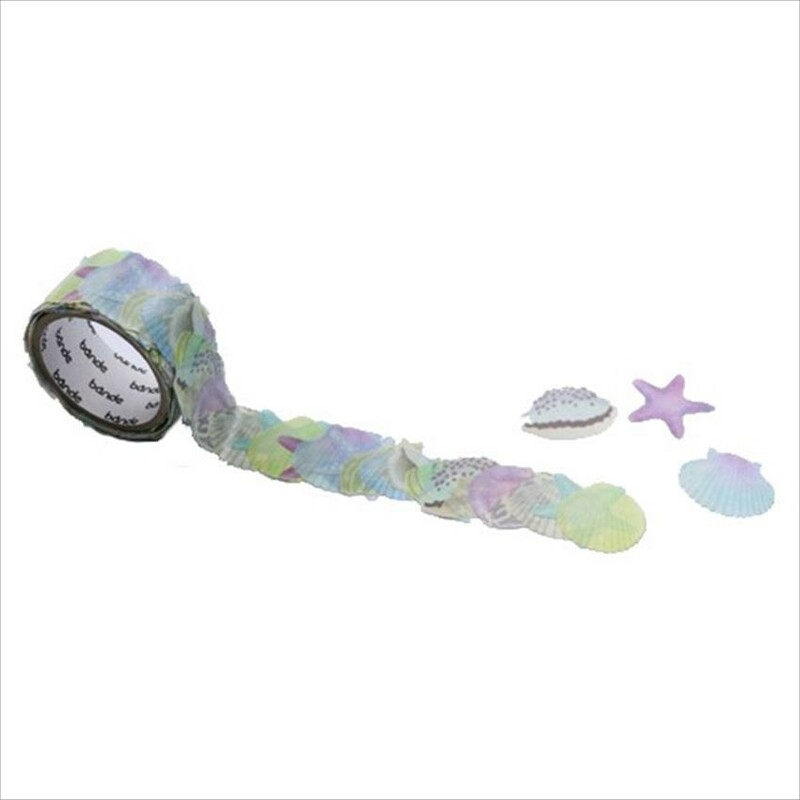 The overlapped seashell seals of light pastel color will come out one after another. The sense of sheer and watercolor decoration are cool. 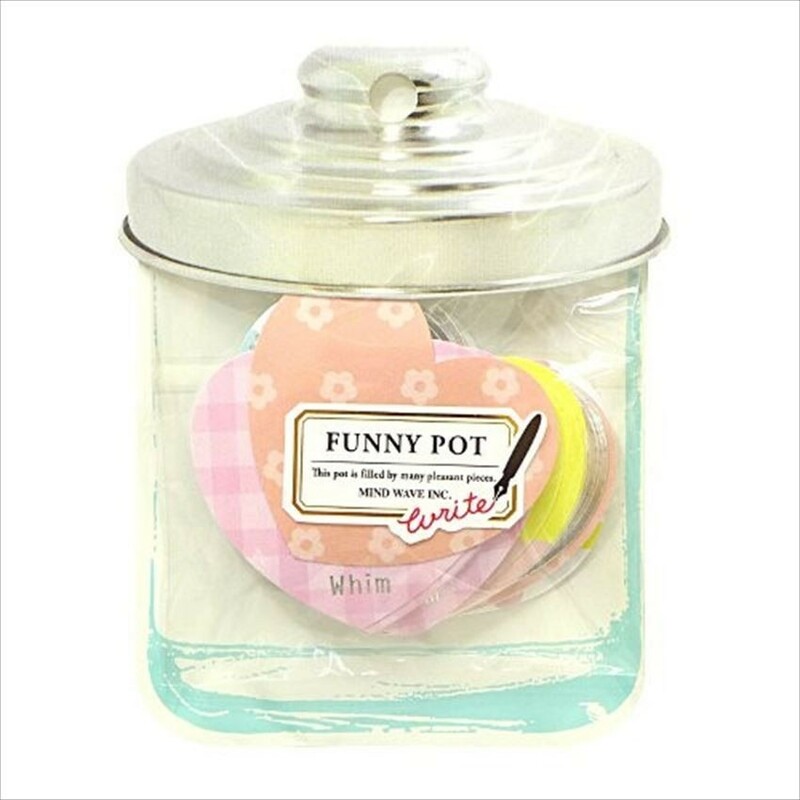 Even if you sticked and pasted one by one, you can paste them freely to decorate in a nice way. Seashells of light pastel color will come out overlapping. Please try to use it to decorate cards, albums, notebooks, etc! 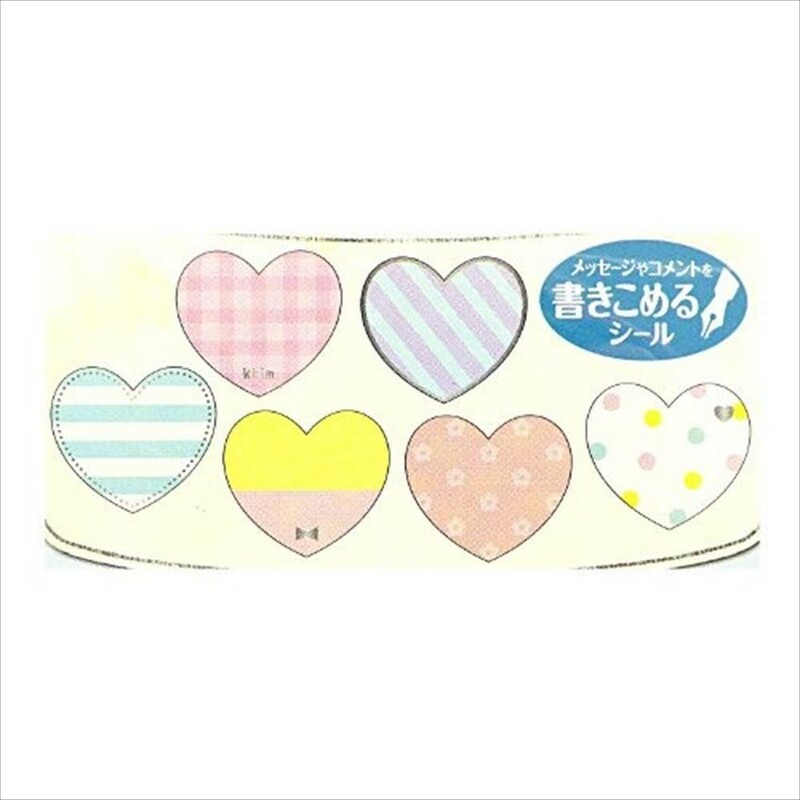 This is a seal that you can write a message and paste it on the notebook, or use it to decorate conveniently. There are a total of 6 designs including border pattern, check pattern, floral pattern, etc. and each type has 7 pieces, with total 42 pieces in a set. 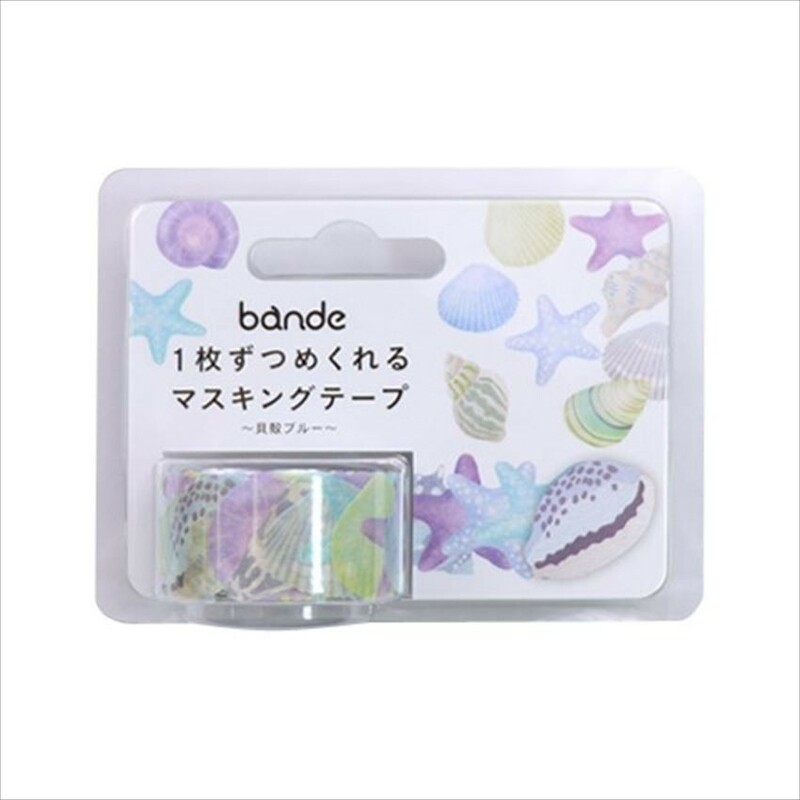 During birthday party and farewell party, if you can decorate the card with this seals with everyone’s message written on it, definitely this will be the precious and only one card in the world!